His responsibilities include providing Security related functional support - Advisory/Consulting, Engagement support, Architecture, Engineering, Design, Audit, Governance and Operations. He is an accredited Subject Matter Expert in Information Security, Risk Management, ITIL, Six Sigma, Business continuity and Disaster recovery. Prior to joining The Estée Lauder Company, he held Senior/Advisory roles providing thought leadership at AT&T, Lucent, INS (now BT Professional services), Vis.align/Forté, Mannai, Digital and numerous other organizations in the US, Canada, Qatar, Germany, Brazil, and India. Previous roles have also encompassed systems analysis, programming, systems/network integration, project/engagement support, IT strategy assessments, service/methodology development, security practice startup, and business to technical alignment reviews. 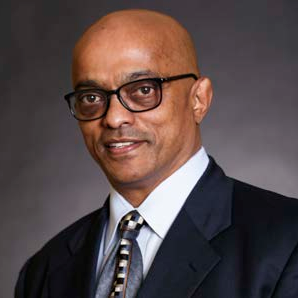 Recently appointed to serve on the Rutgers Cyber Security Advisory Board, he continues broaden his knowledge pursuing forums, exhaustive certifications, professional development, and training in the field including CISSP, CISM, CISA, CBCP, CIPP, GCFA, NSA-IAM/IEM, CCSK, COBIT, ITIL Expert, Six Sigma Green belt, PMP etc. He holds an MSc in Cyber Security from NYU’s Tandon School of Engineering. He also holds several advanced credits/Graduate certificates - MBA essentials, Cyber Security, Telecommunications and Software Development. During his free time, he participates in various Security Hacker/Law Enforcement/User forums while also enjoying flying manned and unmanned aircraft, motor racing, and mountain climbing. He is also part of US Coast Guard Auxiliary Flotilla 014-12-07. Digital technology is a seamless aspect of daily life, giving the impression that the security of these transformative technologies is up to date within the enterprise risk management plans. However, given the evolving-nature of these emerging technologies, including Artificial Intelligence (AI), Machine Learning (ML), and Internet of Things (IoT), the digital risks we all face are only going to increase as more and more devices share data around the world. The endpoint security landscape has changed dramatically with increased cyber threats that regularly circumvent traditional risk management measures. There are many vendors in this space that tout unique angles and protection of your networks that can seem confusing with potentially overlapping solutions. This case study will discuss the drivers, selection criteria and evaluation of these solutions.